When she was in the sixth grade, Lily Franks was diagnosed with diabetes. Now, seven years later, the Lone Peak High senior is proving that, while it requires a change in lifestyle, type 1 diabetes doesn’t have to change a teenager’s quality of life. According to data from the American Diabetes Association, more than 200,000 people under the age of 20 in the United States have been diagnosed with type 1 diabetes, a form of the disease that mostly strikes young people and is genetic with much of its exact cause unknown. 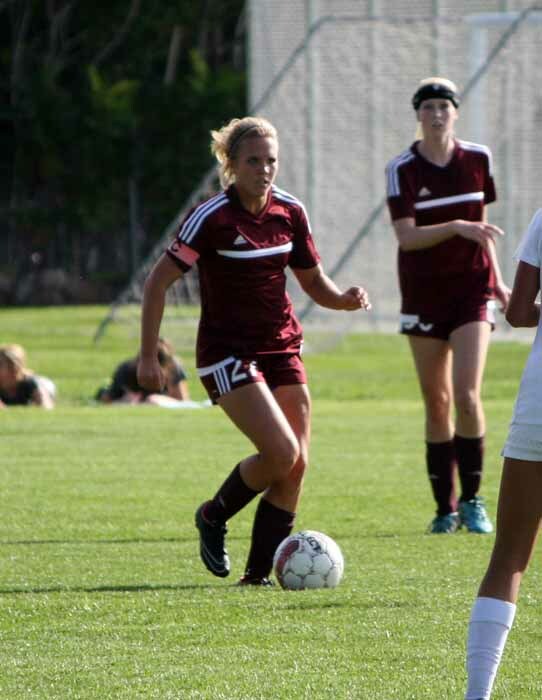 Franks exemplifies that level of determination and as one of the leaders on the Lone Peak girls soccer team, she is a daily example of what is possible. That attitude carries the senior to great heights in dealing with diabetes and also in taking on challengers as a physical defender for the Region 4 champion Knights. 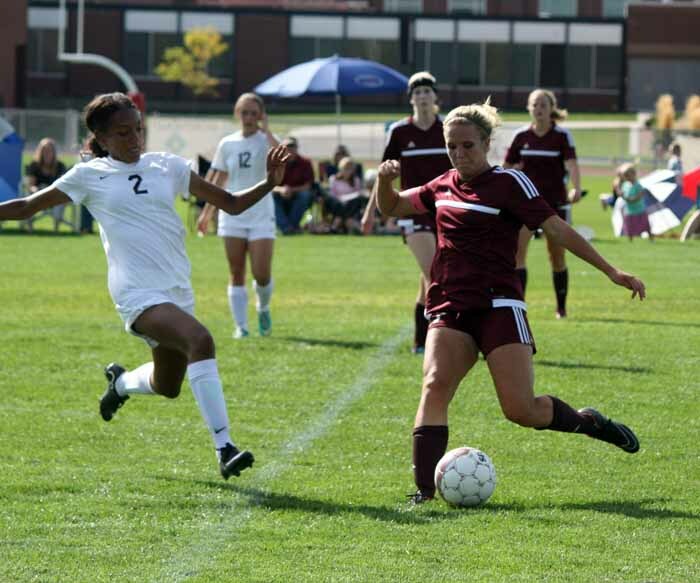 Franks found a home on the back line fairly early in her soccer career and she loves it there. It shouldn’t be a surprise that Franks was able to adapt to a new position on the soccer field. Since she started dealing with the diabetes, she has made changes in her lifestyle that allow her to do the things she loves. “At a young age, I had to learn to take care of myself, without my parents there,” Franks said. “I was right at the age in middle school where you’re starting to become independent and doing your own thing. I definitely had to learn how to take care of myself. Definitely the transition of having to check myself and taking shots and eating better and not eating what other kids eat, and always being on top of it. It was definitely hard at first, but it’s like a lifestyle. I can’t do anything about it, so I have to handle it. As long as I handle it, I can do what I love to do and play. While monitoring Franks’ physical condition is critical for Lone Peak coach Heather Dahl, she is also able to appreciate the things that make this team captain special. “Lily’s a great player and she has a great attitude, so it’s fabulous having a player like that on the field,” Dahl said. “As a coach, it’s something medically that I have to be aware of and that, of course, I watch. She has been here long enough to trust me and to know that I have her best interests at heart, too. Those supplies include juice and snacks that she eats if her blood sugar gets low. It’s something she has to stay on top of. If she does go low during practice or a game, the school’s protocol is get her off the field to eat a granola bar or drink some juice, then wait 15 minutes and re-test her levels. Another activity that is part of the normal routine for Franks is giving herself insulin shots, lots of insulin shots. She’s become used to that over the years. In some ways, Franks feels like her condition has made her a better soccer player. There is a lot that has to happen behind the scenes to make that possible, but as long as she takes care of herself, she is in a good place. “To everyone else, I look normal,” Franks said. “As long as I keep it up and I’m not dropping, and as long as I monitor it, it’s fine. The second I drop low, you can tell. I can’t run as fast. It looks like I’m running through mud and I can’t focus very well. When I do go low, it definitely affects my conditioning, but as long as I keep it up, I play like everyone else. Her coach says that Franks does a great job at keeping herself ready to play, and while there are occasions when they need to take her off the field to make sure her levels are on target, there are also times when they give her a break if the situation is right. Franks has a number of friends who have also been diagnosed as type 1 diabetics so she has others sharing her experience with whom she can talk. 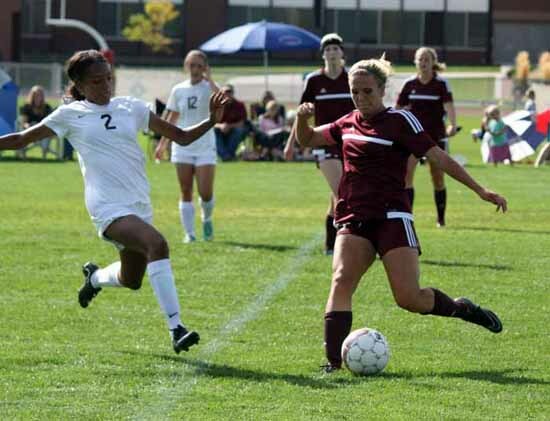 While this year marks the end of her competitive soccer career, her experiences with diabetes give Franks a lot of direction for the things that come next.